But where a lesser man might have written off the afternoon as a lost cause, Bottas never gave up. The Finn dug deep and -- assisted in part by the proliferation of Safety Cars and an extended red flag period -- crossed the line in second place, having passed the Williams of Lance Stroll as the pair were approaching the chequered flag. Bottas’ fightback was a sight to behold; the Mercedes driver was racing in the points by the halfway mark, and it was with his lap 31 move on the Toro Rosso of Carlos Sainz that the Finn started to look like a credible prospect for a podium finish. 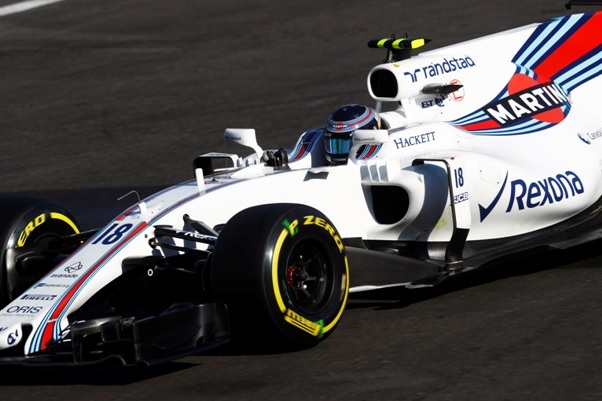 The closing stage of the race saw Bottas set fastest lap after fastest lap, and with ten laps remaining the Williams pit wall was warning Stroll that -- despite a ten second lead -- his second-place finish was under threat from the fast approaching Finn. In the end, Bottas was able to use his considerable straight-line speed plus a DRS boost to pass Stroll just before the finish line, with the pair claiming second and third place split by a tenth. Lewis Hamilton suffered another challenging weekend in Azerbaijan, having named the race as one of his worst of the 2016 season. This year’s edition looked to be far more promising for the Briton, who delivered a commanding lap to secure pole position and held the lead of the race through numerous Safety Cars and a red flag period. But the Mercedes driver was forced to box on lap 31 when it became apparent that his headrest -- a mandatory device for reasons of driver safety -- was working its way loose. 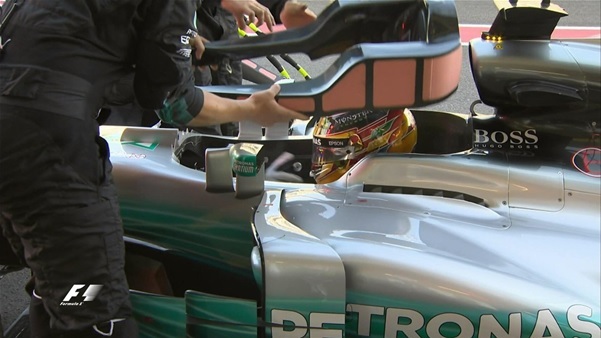 The team radioed their driver and asked him to push the headrest back into place on the straight; Hamilton lost 0.4s in a few hundred metres with only one hand on the wheel, but the headrest refused to get back into place. Despite Hamilton’s best efforts to resolve the issue on track, Race Control ordered the triple champion into the pits for a new headrest, and the time lost cost him what would otherwise have been a comfortable win. Post-stop, Hamilton emerged from the pits in eighth place, and was immediately passed for ninth. The fightback was on, but to no avail -- Hamilton was unable to deliver the succession of fastest laps that had enabled teammate Valtteri Bottas to reverse his Azeri fortunes, and a fifth-place finish was all that could be achieved. Speaking to the media after the race, Mercedes team boss Toto Wolff refused to apportion blame for the headrest issue. "This is a team that has won three Championship and I'm not going to let you suggest that someone is at fault," he insisted. Sunday afternoon in Baku saw Lance Stroll shake the ‘pay driver’ tag for once and for all with a commanding performance that saw the young Canadian enter the Formula One record books as the sport’s youngest podium finisher. 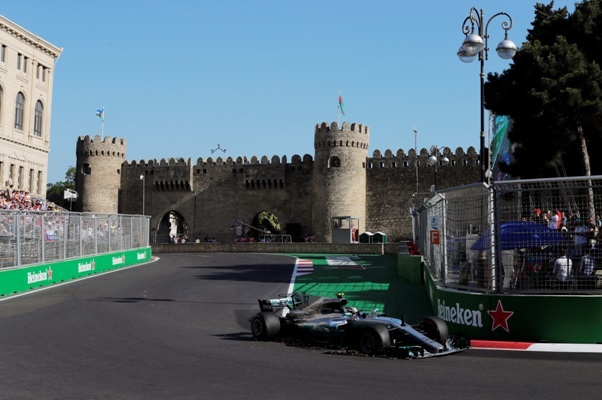 Stroll’s third place for Williams was very nearly a second-place finish, but the rookie racer was overhauled by Valtteri Bottas within a whisker of the finish line, thanks to an assured fightback and tactical use of DRS in the final seconds of the Azerbaijan Grand Prix. After a tough start to the season that saw Williams’ young protege suffer three DNFs in the first three races, a first points-scoring finish at his home grand prix in Canada last time out gave Stroll a much-needed confidence boost, and one that he was able to carry forward to the race in Baku. Confidence counts for a lot, but just as vital a factor in Stroll’s Azeri success was a post-Canadian GP private test at Austin’s Circuit of the Americas. "This weekend for sure I've felt really on it with laps, knowing when is the right time to push or not,” Stroll said in Baku. “I feel like I've made a step on my wide this weekend in that area for sure. So I'm really happy about that and it's a combination of everyone working together, the engineers giving me better information and getting more experience with the tyres. "There's a combination of reasons why. Myself, improving on areas I needed to improve on, I think I'm starting to figure it out, and also with the car taking directions similar to the beginning of the year -- we drifted away from that direction and I feel a lot more confident and comfortable with that set-up. Everything has been going well this weekend and that brings the result.